Would your small business benefit from reducing costs, improving product and/or service quality, more effectively competing with bigger companies, innovating more, enhancing your expertise, and better managing your own capacity and the capacity of your small team? You bet! In this post, I discuss 10 ways that your small business can leverage crowdsourcing. I’ll explain each suggestion and will recommend ways that you could take advantage of the service for your small business. I’ll include examples for each suggestion to show how a small businesses can leverage each service. First – a short background. For the past 20+ years, many companies have outsourced certain types of work – such as product design, manufacturing, or customer service – to a third-party. Often, the third-party was located overseas (India, for example). Historically, outsourcing was the done mostly by larger companies. Although outsourcing continues to be a popular option for companies in many different industries, the diminishing savings from outsourcing, coupled with some of the disadvantages (quality, communication issues, turnover, etc.) have made outsourcing a less attractive option. Over the past 6-7 years, some companies have found new, more creative ways to leverage others – through crowdsourcing. Crowdsourcing involves taking a task which is traditionally performed by an employee or contractor, and outsourcing it to a large group of people – rather than to a specific third party (like one would do when outsourcing). Some large companies have been leveraging crowdsourcing for years (see Innocentive below). 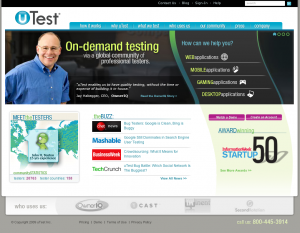 What it is: uTest is the world’s largest marketplace for software testing services. A community of 20,000+ quality assurance professionals from around the world help software companies test their web, mobile, gaming and desktop applications. How You Can Leverage uTest: If your company develops software, you can leverage uTest to provide functional, usability, load and performance testing. 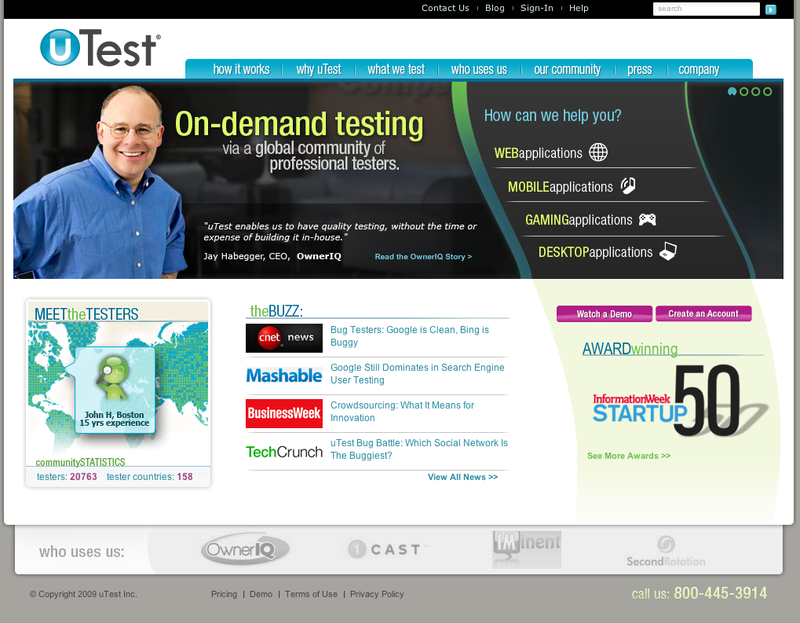 Companies that develop software know that testing is time consuming and tedious. And while larger companies often have quality assurance staff – or entire departments focused on testing – small businesses must rely on their own employees or third parties to thoroughly test their software products. By crowdsourcing software testing, you can both control and reduce your costs, and make sure that your products are thoroughly tested before they are released, without putting tremendous strain on your small development team. You pay only for the services you need/use. What it is: InnoCentive is an online marketplace where organizations in need of innovation can leverage a global network of over 160,000 people to solve technical and business problems. 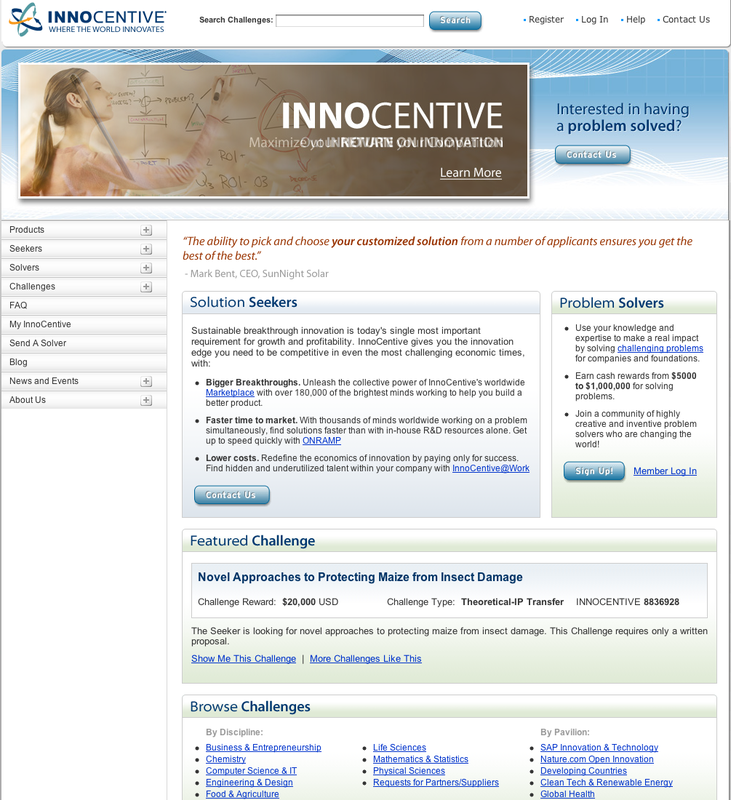 How You Can Leverage Innocentive: If your company runs into a business or research and development problem, Innocentive could be a great alternative to help you overcome that problem. You set the challenge reward (these are typically in the thousands or tens of thousands of dollars). While the cost to post a problem to Innocentive and attract a robust community of people to help you is not small (you set your own reward amount), many small businesses developing complex chemical or electronic products incur much higher costs when working with third-party contractors. And while Innocentive has traditionally been a great option for large corporations – it is equally attractive to smaller companies that must find ways to overcome complex and expensive problems that are delaying product launches. What it is: Mechanical turk is a marketplace for getting various tasks performed by distributed groups of people. Tasks posted to Mechanical Turk are typically broken down into small components and multiple workers typically work on different components of each task. How You Can Leverage Mechanical Turk: There are unlimited ways that you could leverage Mechanical Turk. For example, you can post tasks to have people write short blog posts for your small business blog or newsletter. You can have people create lists for you if you are developing a website focused on sports statistics or other types of statistics. You can have workers on Mechanical Turk transcribe audio and/or video files for you. (Tip: for transcription, you could also use a service like CastingWords, which uses Mechanical Turk to manage the process for you). 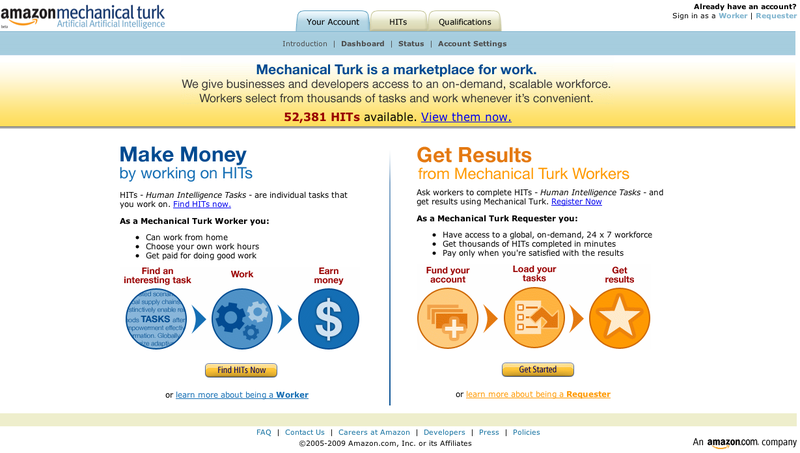 You can have workers on Mechanical Turk answer surveys about a product or service (your own or a competitor’s). You can have workers on Mechanical Turk obtain data from multiple websites on a regular basis and provide it to you in a specific format. Think about any task(s) in your business that require large groups of people and you’ll come up with simple, low-cost (you set your own price) and effective ways to leverage Mechanical Turk for your business. What it is: Inkling runs prediction marketplaces. These marketplaces could provide, among other things, early risk warnings about products and services (or about interruptions to your supply chain, for example), could help quantify the probability that an event will occur, and can predict how your business will perform. 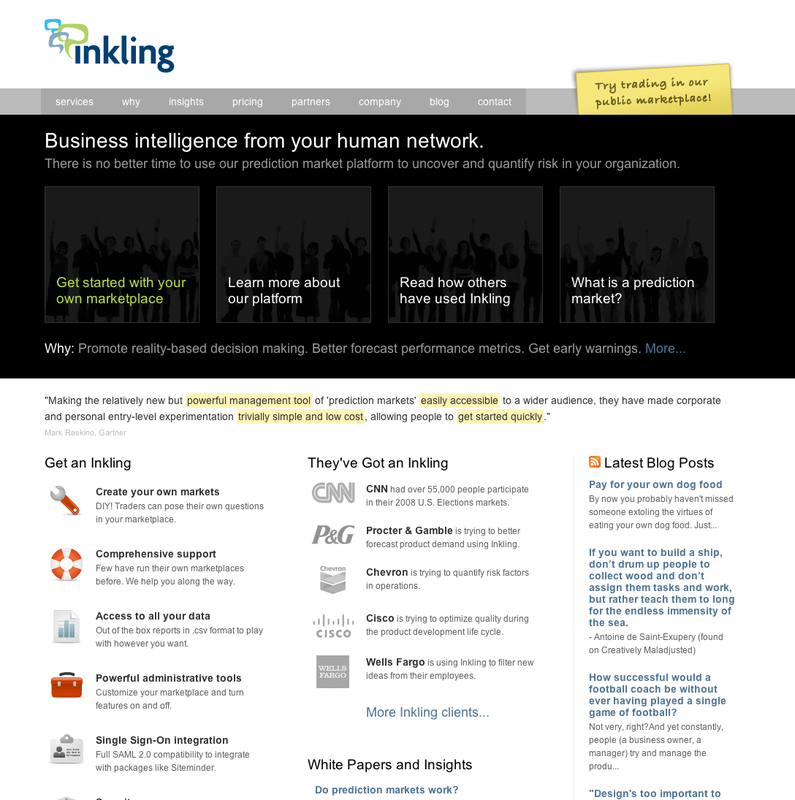 How You Can Leverage Inkling: Inkling at first look appears more appropriate for larger companies – and the case studies posted on Inkling’s site promote use by large companies. 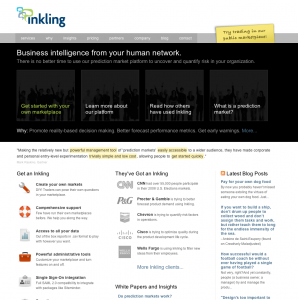 However, there are many ways that small businesses can leverage Inkling. For example, if your company is developing a new product, you can use an Inkling marketplace to predict whether your product (or several variations of your product) will be successful in the marketplace. Given the often high costs of marketing and advertising, being able to predict which variation of a product is likely to be most successful is an incredible advantage to blindly launching a new product (or service). What it is: Get Satisfaction allows companies to support customers, exchange ideas and receive feedback about products and services. 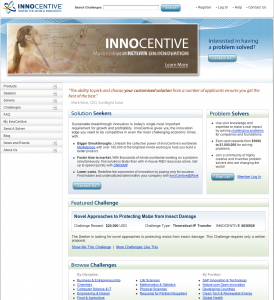 How You Can Leverage Get Satisfaction: Get Satisfaction has numerous price points, ranging from FREE to $899 per month. It’s a good alternative for small businesses that have popular products and active communities, but small teams. 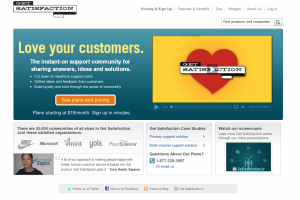 Many small businesses use Get Satisfaction as their primary channel for customer support. For example, if you’re marketing a popular free product, you may have a very active and devoted community, but little money to provide customer support. Similarly, if you’re a startup, you’re most likely spending your money on development and not spending enough on providing customer support. 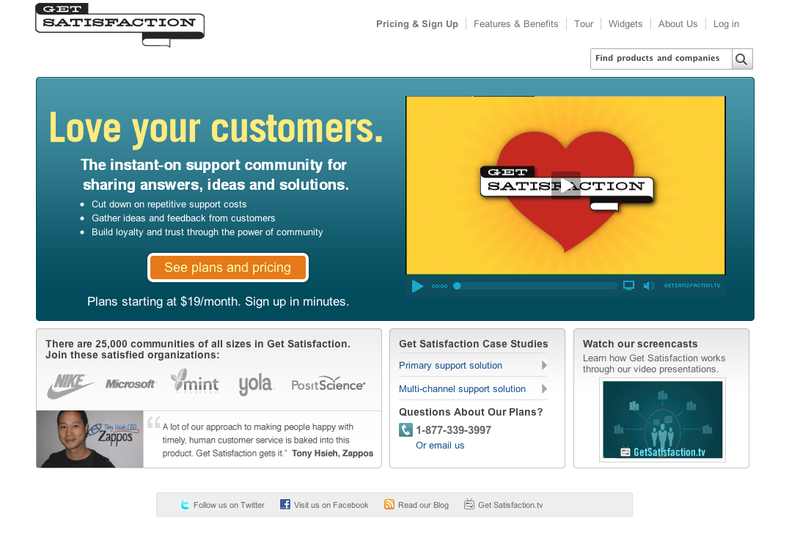 Get Satisfaction helps you to leverage your community to help you deliver customer support to your users and lets your team focus on building and improving your core product or service. 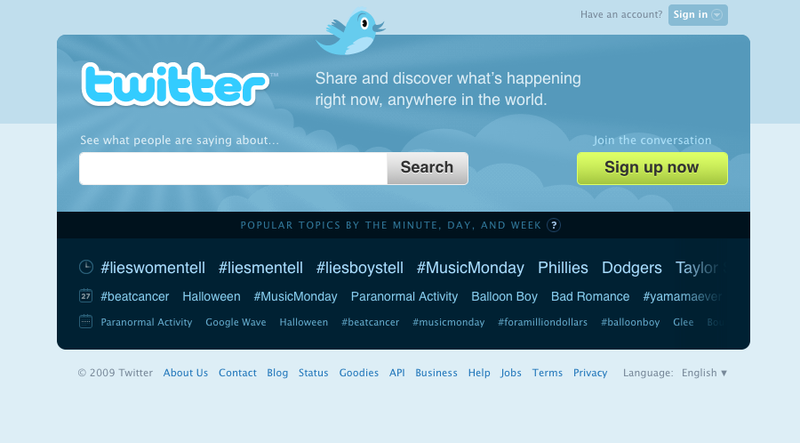 What it is: Twitter is a social network. 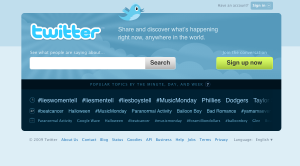 Users on Twitter communicate by sending text-based messaged of up to 140 characters in length. The messages are public (there is a private message option) and other people can subscribe to receive all your messages or find your messages by searching or visiting your page on Twitter. In turn, you can subscribe to other people’s messages. This process – “following” – allows people and companies to build communities of “followers” on Twitter (some of these communities are small – numbering in the single digits, but some communities are in the thousands, tens of thousands, and even millions of people). Facebook is also a social network. In addition to text based messages, Facebook allows you to upload photos, videos, and interact with other people who can become your “friend” on Facebook. Like on Twitter, your friends on Facebook can see your public messages and you can see the public messages posted by your friends. Companies can set up “fan” pages on Facebook where companies can interact with their customers and fans. How You Can Leverage Twitter and Facebook: You can use your communities on Twitter and Facebook to help you generate ideas, to give you feedback about ideas, to help you with research questions, and in many other ways. For example, if you’re a freelance journalist or a copywriting agency, you could ask your communities for ideas about stories. Or if you’re a manufacturer of electronic products, you can ask your communities for ideas to improve your products. If your small company makes a popular software product, you could ask your communities for feedback about your latest public beta release. If you have a gift basket business, you can ask for feedback on your latest basket designs on several newsletter templates you’re considering. The possibilities are unlimited. 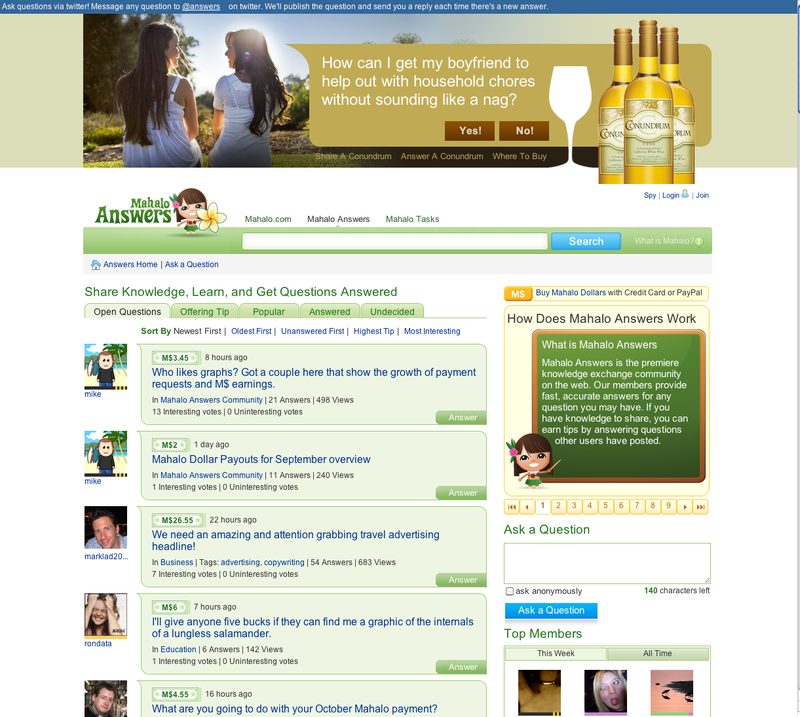 What it is: Mahalo Answers is a social community where anyone can ask questions about anything. Members provide answers to the questions and in some cases, earn “tips” for the best answers. How You Can Leverage Mahalo: Small businesses that do not have large communities on Twitter or Facebook must find ways to get help from existing communities. Even if you have existing communities, it sometimes helps to seek opinions outside your communities. Let’s say you have a small business on Etsy, selling various kinds of crafts. How should you effectively and inexpensively market your Etsy business? You can ask for advice on Mahalo. What if you’re building a voice mail application and doing market research to find out how many voice mails are left in the U.S. every month? You can spend time looking for the answer on Google or Bing – or you can ask for help on Mahalo. What it is: Sometimes, you’ll have an idea for new ways to leverage crowds and will see an opportunity to create a service that doesn’t already exist. For example, HARO (Help A Reporter Out) is a very successful free service founded by Peter Shankman – designed to help journalists request expert interview sources for stories. Peter started the service because he was constantly receiving requests for help from his journalist friends and he came up with a way to leverage crowds to answer those requests directly. How You Can Leverage: Each company described in this article found a creative way to deliver a product service to others. Just like Peter Shankman, think about problems facing your business – or your industry – and assess whether you can find smart ways to solve those problems. As you can see from the many examples in this article, there are unlimited creative ways to crowdsource solutions to common (and uncommon) problems. The key to building a relevant business is to find an opportunity – an industry need that is being unmet – and develop a solution that meets that need. In fact, you can use some of these other services, such as Twitter, Facebook, or Mahalo Answers, to identify opportunities and even explore possible solutions. What it is: I’ve listed online services, but you shouldn’t forget the communities we’ve built offline. Those communities include your existing customers, friends and families, your co-workers, people you meet at seminars and conferences, or even random people you meet in shopping malls or at the Starbucks. How You Can Leverage offline crowds: You should be using any and all relevant “tools” available to you. While online tools are often easily accessible and low cost, you might find that your offline communities can provide more insight. For example, you can ask your friends and families (or co-workers) for feedback and suggestions about a new product or service you’re considering offering. If you’re considering increasing your hourly rates for a service, you can ask for feedback about what people are currently paying and how they’d feel about different rate levels. If you’re a small accounting firm, you might ask for feedback and suggestions about a new brochure you’d like to send to potential clients. If you’re a real estate agent, you could ask for feedback about print advertising you’re considering running in the local newspaper. Once again – the possibilities of how you leverage your own crowd are unlimited. What it is: And of course, thousands of small businesses around the world have leveraged our own community on crowdSPRING. 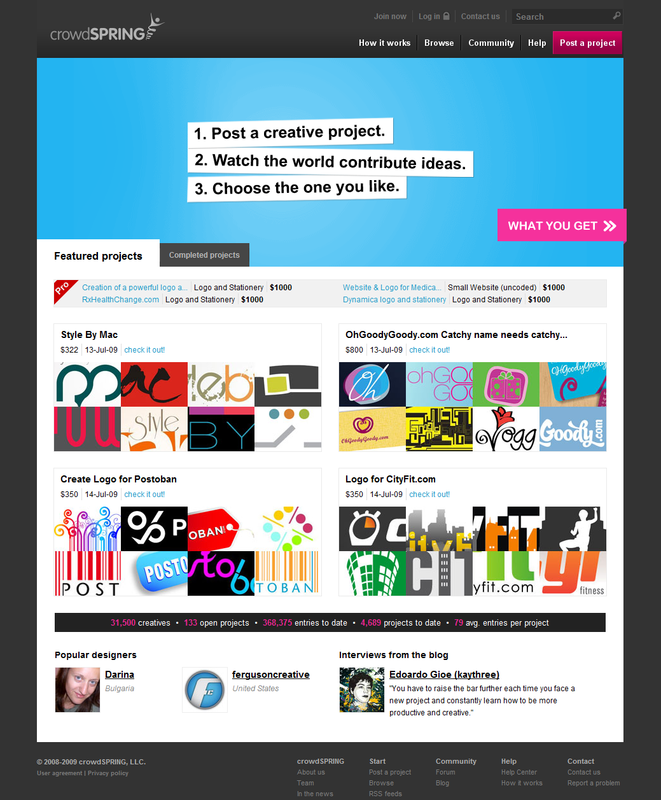 crowdSPRING is a community of over 44,000 graphic, web and industrial designers – from over 170 countries around the world. Our community has helped thousands of small businesses from over 50 countries with logo design, business cards, web design and many other custom graphic design needs. Unlike traditional marketplaces, a buyer on crowdSPRING posts their project, names their own price and deadline, and then selects from at least 25 designs to their specifications, from multiple designers (or they get their money back). How You Can Leverage: You can use crowdSPRING in many different ways – here are 99 suggestions for how you can crowdsource on crowdSPRING (most of these have been posted as projects on crowdSPRING by other businesses). 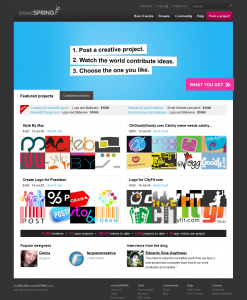 Small businesses have asked crowdSPRING designers to design logos, websites, blogs and marketing materials for them. Other businesses have asked crowdSPRING’s industrial designers to create actual products (mobile phones, devices, watches, utensils) and packaging design (for alcoholic and non-alcoholic beverages, for consumer goods). The possibilities are unlimited. If you have additional resources to share or other helpful advice about crowdsourcing, please take a minute and leave a comment. I’d love to hear from you.